If you said “All 3”, you get the gold star. At first glance, the total transparency of public comments on social media can seem like a disturbing prospect. (“People are going to know that we’re not perfect?! ?”) Particularly witty or well-articulated complaints can even go viral, as in the recent case of an airline customer who wrote a complaint letter to Virgin Airlines about the quality of the food. Glowing reviews, positive comments, even homemade videos featuring your product – these unsolicited testaments can create buzz, attract customers and drive your business forward like a freight train. Now here’s the surprising part: negative reviews can help grow your business as well. This isn’t a case of ‘Any press is good press’, though. If you’re not careful, a negative review can hurt you. When Sir Richard Branson, Virgin’s owner, discovered the previously mentioned complaint online, he retweeted it and then personally phoned the customer. By further publicizing the complaint, he actually emphasized the importance of customer service. In return, Branson got credit for being a good sport and committed business owner, along with a flurry of positive press. While fielding the comments that come directly to your social media platforms is a good start, it’s only the beginning. It’s important that you also look for mentions of your business outside of your own channels. 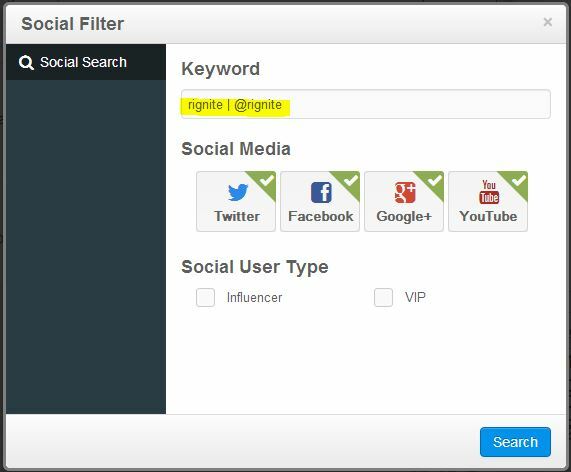 Use your social media monitoring software, like Rignite, to watch for mentions of your business. Finding the customer mentions that don’t get directed at you is the sign of a company that really values customer support on social media. Add a search tab and enter the name of your brand as the search term. Include any commonly misspelled variations. It’s also a good idea to include common misspellings of your social account names. 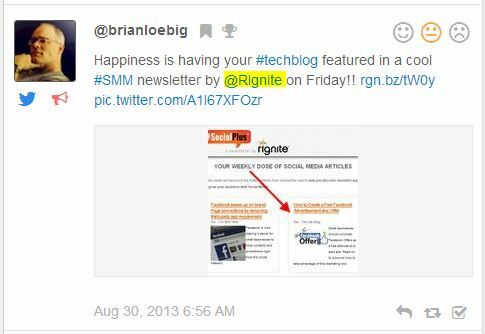 For example, our Twitter handle is @RigniteInc (hint: you might want to follow us), but people often use just @Rignite (without the “Inc”). So in the screenshot below, you’ll see that we search for people mentioning our name “Rignite” without intentionally @mentioning us and people who do intend to @mention us but use the wrong handle. Now just keep an eye on that search stream for any new results. Here’s an example of some customer love that we would have missed, had we not been monitoring for misspelled @mentions. Now, just make sure you reply. Luckily, that’s the fun part. Now that you’ve got an efficient monitoring system, make sure to follow through by engaging with your customers. Now, the most important part. Sign up for a 30 day free trial of Rignite, so you can grow your business through great social media customer support… and more. You have a plan, you’re monitoring all channels, and now you’ve gotten a comment on your Facebook page from a customer. What’s next? 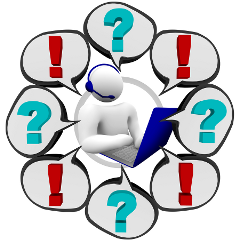 First things first: don’t let customer comments go unaddressed. This doesn’t mean you have to solve a problem immediately, but you should quickly let them know you’re listening. A simple “Let us look into it” can go a long way if it’s negative comment. However, don’t drop the ball there. I recently had first hand experience with this. When trying to get support on a botched delivery by IKEA, I turned to Twitter after going in circles on 5 failed attempts to get a resolution via their phone support. They politely responded with a request to DM them, but when I did, it went into a black hole. I got no response, and still no resolution. The lesson here is that a fast response means nothing without follow-through. Postive comments should also be addressed promptly. A “thank you” is often enough to make the admirer feel valued. It also encourages others to post similar messages. Social Media rookies will often make the mistake of hiding or blocking negative comments. Don’t be that company. Use this opportunity to put your excellent customer support on display. Start by apologizing – nothing defuses an angry customer like acknowledging their pain and apologizing for it. If your industry allows it, solve their problem as best and publicly as you can. Even if you have to gather information in a private message, make sure to post the resolution for the world to see. Back to my Ikea example—Once I got my case resolved by a very helpful lady at my local Ikea (not @DesignByIkea by the way), I again turned to Twitter to express my gratitude for her help in finally ending my pain. What did Ikea do with my praise? Nothing. They missed an opportunity to turn a previously dejected customer into a brand advocate. They could have thanked me for my patience and for sharing the resolution. Even better, they could have offered me a small consolation prize for the headache I went through—anything from a freebie to a coupon would have shown genuine regard for their customers. JoeDisgruntled: I ordered my case 3 weeks ago and it STILL hasn’t arrived. Are you guys trying to steal my money? AmpCase: Joe, we’re sorry to hear that you’re having a problem. Can you private message us your order number so we can get to the bottom of this? AmpCase (Private Message to Joe): We fixed the issue Joe and your case, as well as another one for you to keep or give away, are on their way with priority shipping. Please let us know if you have any other problems. We bet Joe just became a customer for life. Troll Control 101: One authentic pitfall of social media is the existence of “trolls” — those unhappy souls who seem to live for the purpose of spewing insults and outrageous accusations on social media forums. You can banish the most virulent trolls by displaying, and enforcing, a short disclaimer noting that you reserve the right to remove abusive or irrelevant posts. Before sending a troll back under the bridge, make sure you’re not dealing with a frustrated customer in disguise. Monitor channels frequently for repeated posts that feature the same complaint while escalating in tone, and address them. We have talked a lot about handling negative posts – that’s because the negative ones are potentially scary and tricky to handle. That said; your awesome company is going to get positive comments too. As mentioned earlier, positive customer comments should be responded to quickly and appreciatively. If they occur on Twitter, retweet them as well. But, you can go further than that. You can really blow your customers away with a “Surprise and Delight” strategy. Spontaneously offer small gifts or discounts as a sign of your gratitude and you’ll not only reinforce the original poster’s behavior, but inspire others to act as well. Customer support on social media doesn’t need to be scary, and negative comments don’t need to be a negative. When you handle them properly, customer comments of all kinds can show the world just how much they should want to be your customer. What your social media customer support math? Tell us about a time you turned a negative (or a positive) into a major win.